Special Requirements: Must be on flat surface with oversize trailer access. Trailer is 2.5m wide and 10m long. 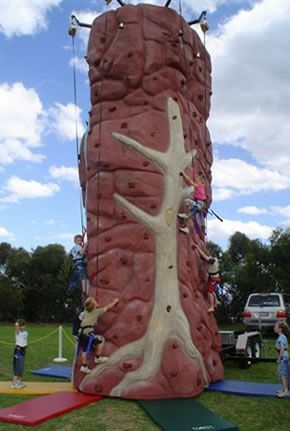 Description:Rock Climbing Walls are a creative and interactive attraction. They are a unique and challenging activity the whole family will love. Ring the bell when you get to the top – just to let everyone know you have made it!